I am delighted and honoured by this invitation to write about hymns for young people. I doubt if I’m very well qualified to do it, and I’m afraid my opinions may turn out to be neither fashionable nor acceptable. Well, if I am dead wrong, these opinions can always become a basis for discussion and perhaps for discovering what’s right. We usually speak about “Children and Young People,” and that expression implies that we are thinking of two different kinds of creatures. I think we mean that on the one hand there, are children who are primarily impressible, and young people who are primarily critical. That is to say: at one stage in its life the human person enjoys receiving, and at another (the next) it enjoys reacting. This seems a safe enough thing to say; there is great dispute about the boundary which that young person crosses from one territory into the other, and I doubt if one can generalize about it, since young people grow up at different speeds. But basically we do recognize the difference between the two phases. The church (mostly) recognizes it in its customs of baptism and confirmation. Baptism is something which is wholly received (according to that doctrine which accepts infant baptism) while confirmation is based wholly on reaction. At confirmation the growing boy or girl gives back, as it were, in the confirmation vows and promises, what he or she has in earlier life received; to put it another way, the adolescent youngster is ready to make the Christian teachings his own, and is therefore in a position to make a voluntary and independent statement about them: and confirmation is the moment when this is done symbolically and publicly. Now one most important thing to notice at the outset—and this will help to correct any false emphasis which the reader may have detected in the above diagram—is that the process of education is always forward-looking. While one kind of technique is obviously appropriate to the education of a child of five and another to one of fifteen, there is always something in the approach to the younger child which already urges it on towards the status of the older child. You are always looking for reaction even at those stages when you know that chiefly the child will be occupied in receiving. But the converse is certainly not the case. While you are urging the young child forward towards the next stage of growing up, it’s fatal to try to urge the older child backwards toward infancy. It’s right to foreshadow the older status for the younger child, and wrong to depress the older child to the status of the younger. You grow only in one direction—up. The next thing I am going to say will now be obvious. I have always believed that little harm is done by offering young children hymns that are too old for them; and that much harm is done by offering older children hymns that are too young for them. That is the basis from which I start out on what I want to say in the rest of this article. My own experience confirms this, and so does that of most people who have managed to retain their Christian beliefs through the hazardous years of adolescence. I can certainly remember enjoying—that is, associating with pleasant occasions and delightful sensations—hymns appropriate to small children when I was about five years old. I can also remember enjoying, in the same way, “Praise to the Holiest’’ when I was eight, and “Come, O Thou Traveller” when I was thirteen. Indeed, from about the age of eight, all my favourite hymns were grown-up hymns. I am at a disadvantage in having had no experience whatever of particularly enjoying, and regarding as “favourites,” hymns specially designed for teenagers. Partly this may have been because there really weren’t any such hymns when I was a teenager (in the 1930’s), but certainly it is partly also because to me the grown-up hymns had by that time become fascinating, both musically and in their words. My personal reaction to hymns has continued to alter: I hope it isn’t too much to say that it has “grown.” Maturity should lead towards objectivity and away from self-indulgence, and I am certainly finding, now that I’m entering late middle-age, that it is the simpler and more austere hymns which move me more, and the “oomphy” and noisy ones less. But I anticipate, and must get back to the immediate subject. When we’re dealing with very small children it’s our duty to see that the hymns they sing (a) produce pleasant associations which introduce them to the idea of enjoying the Gospel and the church, and (b) latch on to something which is already their own. The chief ingredient in these hymns will be a sense of acceptance rather than one of criticism and reaction. In respect of (a) above, therefore, the tunes need to be simple and chaste, and the words at least largely understandable. By a simple tune I don’t mean a tune which a grown up regards as simple because it’s in an idiom he is familiar with: that idiom may be corrupt and degenerate, and he may have become familiar with it not as a child but as a self-indulgent and reactionary grown-up. Some of the healthiest children’s tunes are old folk-songs (English or American or anybody else’s); but if you’re writing a new one, see that it’s as good a tune as you would write for anybody else. In respect of (b) it becomes natural to deal, in the text, largely with pictures, and pleasant pictures at that. Children’s hymns will always have plenty to say about nature—young children aren’t yet worried about pollution, so let them sing them. What could be better? But children’s hymns will also deal with doctrine. The Nativity is easy because it deals with a child anyhow. The Atonement and Resurrection are more difficult, but clearly the Atonement must in children’s hymns emphasize love rather than blood, and the Resurrection will tie up with spring rather than with regeneration. When you get to teenagers, or anyhow children in the second stage, you’re faced with a quite different need. On the one hand there’s the need for rebellion, for growing away from Mother: and at this stage it doesn’t do too much harm to involve them in hymns of protest and activism, of response to need and desire to put the world right. This is the time when you can introduce pollution and hunger and so forth. The modern folk hymn writers have done us a great service at this point, and of course, the teenagers have welcomed what they have given us. But this has been so successful (in filling a gap which, as I’ve said, simply wasn’t filled at all thirty or forty years ago), as to obscure another point which I here want to insist on. This is that your teenager is not only rebelling but also growing in the faculty for wonder. It’s a less passive and awestruck wonder than that of the young child, because it is the wonder of a maturing and deciding mind. But it mustn’t be suffocated. Too often nowadays it is. And this is why it’s so important to nourish older children with hymns that express the immensities of the Faith. We’ll grow weedy and sour if all we’ve got at that time of life is protest and rebellion. To take one example: every teenager is, at some point or other, grasped and exalted by the last verse of “When I Survey the Wondrous Cross.” It’s a crime to frustrate the possibility of that by never allowing him to sing those words. This, however, leads into a rather more difficult piece of country. I fancy that the real difference between our approach to the youngest child and our approach to the older one is that it is our duty to face the older one with discipline. I simply don’t think that you ought to load the youngest children with ideas about the difficulty of the Faith and the pervasiveness of sin, as the old fashioned children’s hymns so often did. But it’s just as important not to treat the older ones as if they were very young, and that means to face them with the truth that none of us is naturally an obedient disciple, and that some things which will be blessings are at present formidable, forbidding, and even unpleasant. Do not, in other words, insist that the teenagers always sing what they immediately “like.” This was the error into which some reformers in the 1950’s fell: “they’ll like this,” they said, and produced third-rate music and words. No. The most rewarding part of adolescence is the sense of achievement and self-realization that comes from attempting difficult things, from climbing steep places which you wouldn’t climb by yourself but in the fellowship of others you find you can climb. In other words—don’t forget that in a few years these teenagers will be grown up; or that the process of spiritual growing up doesn’t stop at any discernible physical age. If it stops before we’re physically dead, something has gone badly wrong: Christian doctrine says it doesn’t even stop when we are physically dead (which is partly what the end of II Cor. 3 and the whole of I Cor. 15 are about). No; it must be accepted that the youngest children ought to get what they like: but the older ones ought to get what will stretch them and spiritually toughen them. In the old Anglican confirmation service there was always an emphasis on becoming “a good soldier of Jesus Christ.” Don’t let modern association detract from the force of “soldier.” It means that once you’re confirmed you’re prepared to undergo self-denial and even hardship for Christ’s sake. If in your hymns all you get is very soft and agreeable stuff, or even stuff which always agrees with your personal rebelliousness, those hymns will militate against the training which from confirmation onwards to death and beyond is Christ’s design for all of us (called theologically, “sanctification”). Finally, I must offer a word about the choosing of hymns for young people. There are two situations which shouldn’t be confused. One is where the young people are in a group by themselves: the other is when they are part of a worshipping congregation including people of all ages. The rule ought to be that when the young are part of a full group, the hymns should be appropriate to the whole group. There’s always a danger of dividing the worshipping congregation if one concentrates on one part of it and ignores the rest. Suppose a hymn for very small children is chosen in which everybody joins. This is all right provided that everybody realizes that their joining in is an act of pastoral neighbourliness (it doesn’t damage older children to have to recognize this occasionally). The same is true of a hymn especially suitable for and responding to the needs of teenagers. But in the main the worship-service is the time when the unity of the whole congregation is celebrated: when the humanity we all share is brought to the altar to be chastened and exalted by Christ. It’s not the time for sectional activities and special orientations. There are other times for those things, which should be used to foster self-expression and self-confidence in the young. But what will never be right is at any point to be patronizing or trivial in the presence of the young. Being simple is not being silly. 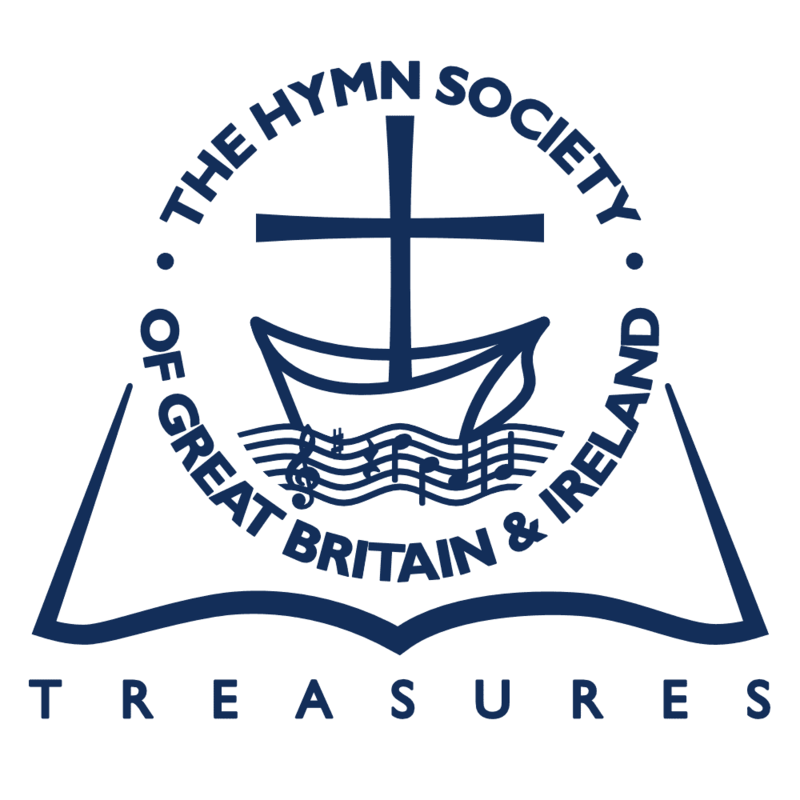 Certain things are true of all hymns, whoever they are written for: a children’s hymn or a young people’s hymn should be as strict in its musical and textual grammar, as fastidious in its thought, as well performed and as sensitively chosen as any other sort of hymn. It is never right to think that because young people have special needs and special capacities, what they sing need not have the integrity and sincerity of what the older people sing. The appalling thing—worse than any abuses I have implied here—is where the taste of the older people has become so corrupt that once the young ones join them they are depressed and stunted where they had hoped to continue to grow and expand. So my final word is—exert great rigour and discipline in the choice of hymns for the whole congregation: fight bad taste-battle against insincerity: respect and enjoy distinction and beauty: sew up the second-rate pages of your hymnal and never open them again. You need to provide a good house for the youngsters to take their place in. What if, entering it, they think that their Father s house is as badly furnished and as incompetently run as this one?